Nike Golf not only has former world number one and current number two Tiger Woods on its tour staff but now can boast the present world number one Rory McIlroy as part of their stable of players. They have never been afraid of going after star power as part of the effort to be a major factor in the equipment business. This ties in nicely with the recent announcement for 2013 of the VR_S Covert driver. It is billed as “the most innovative club Nike Golf has ever produced” which is true but what strikes one upon first seeing it is the color. It’s red and just any red but a strong red with the Nike swoosh logo located towards the rear of the clubhead. From a design standpoint the VR_S Covert has a cavity back construction with loft and face angle adjustment plus Nike’s NexCOR face. The back cavity of the VR_S Covert is similar to those long found in irons and is there for the same reasons, increased forgiveness and stability through redistribution of the clubhead weight. 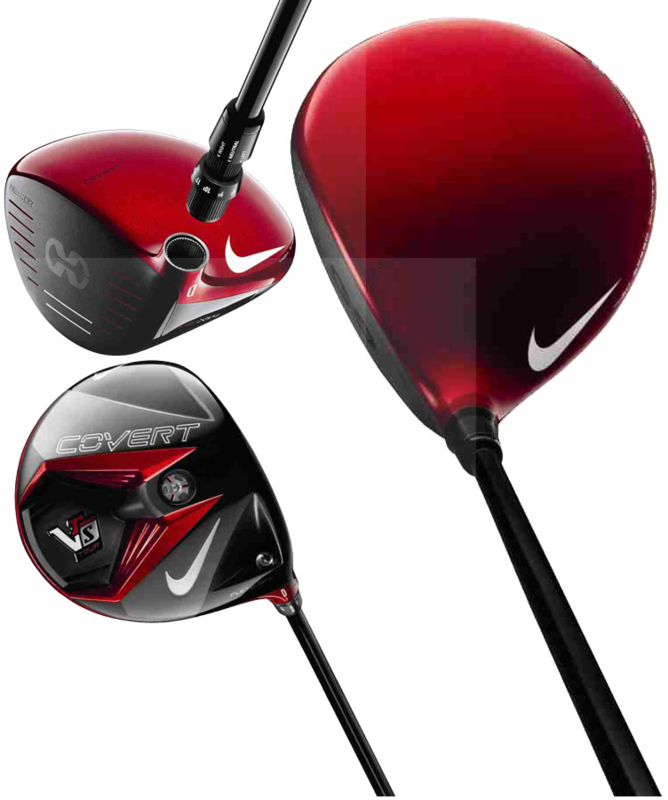 It is anticipated a cavity will be also seen in Nike’s new fairways and hybrids as yet to be introduced. Nike’s FlexLoft system, a simple pull, turn, and push/tighten mechanism, allows the user to choose the loft and face angle between 8.5° and 12.5° independently of each other by decoupling loft from face angle. The NexCOR face is a variable thickness construction that moves the sweet spot higher and away from the heel of the club. There are two versions of the VR_S Covert, regular (460cc-$299) and Tour (430cc-$399) and both will be in shops in February.